Planning to go on vacation or business trip in the next few months? Here is a new Cebu Pacific promo fare 2017 you might want to avail! Book the Cebu Pacific sale tickets to select domestic and international routes. Travel dates include the months of April, May, June 2017. Tickets are good for one-way trips; cover 7 kilos hand carry bag, base fare, Web Admin Fee and taxes and fees. Cheap fares as low as P1,099 are available from Manila to Tablas, Cauayan (Isabela) or Naga. If you will be going to these places, grab this opportunity to fly to these areas without spending much. Sale tickets can be also booked from Manila to many Philippine local destinations. 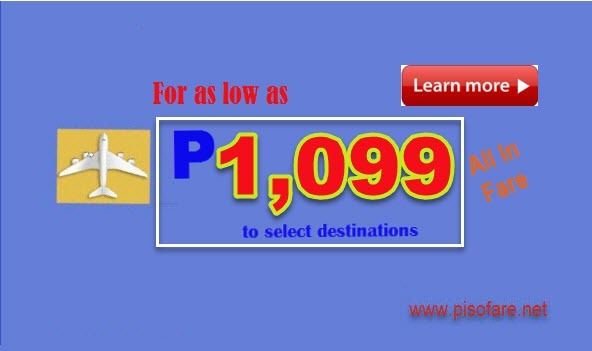 For as low as P1,799 fly from Manila or Clark to Macau. Take advantage of promo fares to Singapore or Hongkong from Manila, Cebu, Clark, Davao or Iloilo for only P2,599. Booking for the Cebu Pacific affordable flights is ongoing until February 24 or until seats last. Book now! Go, get the low fares now while these are available. Tickets are valid for one-way trip. You may book for round trip promo ticket depending on its availability. Avail the Cebu Pacific low fares by a) booking online at www.cebupacificair.com; b) buying the tickets at the airline accredited ticket outlets, travel agencies and from Cebu Pacific Sales and Ticket Offices in the different parts of the Philippines and other countries; c) Call Cebu Pacific hotline numbers: (02) 702 0888 in Manila and (032) 230 8888 in Cebu. Want to get the lowest fares? We in PISO FARE TICKET recommend to book your tickets online to check on cheapest fares for your route. No promo code needed in booking. Just be flexible on your trip dates. Cebu Pacific promo fares are limited and may not be available on your flights. Do you want to buy your tickets in Cebu Pacific ticket offices? Here are lists of Cebu Pacific ticket offices in Metro Manila, Visayas ticket offices, Luzon ticket offices, and ticketing offices in Mindanao. Book or buy the Cebu Pacific low fares now! For more Cebu Pacific promo fares or PISO FARE and other airline promos and seat sale, FOLLOW our Facebook: PISO FARE TICKET!! !